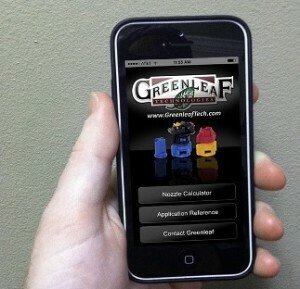 Greenleaf Technologies has announced its free NozzleCalc iPhone app is now available from the Apple App Store. 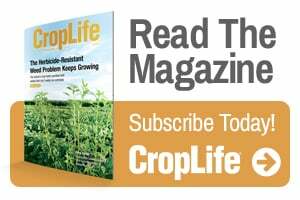 Chemical labels are recommending specific droplet sizes, which makes it imperative to select nozzles for droplet size and not simply GPA. Greenleaf developed this app with the people who spray in mind. It provides the most convenient resource for ensuring accurate Greenleaf spray nozzle selection so users get the right droplet sizes. To use the nozzle calculator feature, simply enter your desired speed and application rate along with your nozzle spacing. NozzleCalc will recommend several options of TurboDrop (TDXL), AirMix (AM), and TurboDrop DualFan (TADF) nozzles in various sizes. Just choose the nozzle which matches your required droplet size and spray with confidence. 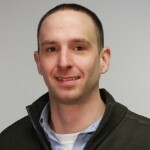 NozzleCalc also includes information about other Greenleaf Technologies products as well as a speed-dial button for calling direct to Greenleaf Technologies’ main office. Install NozzleCalc from Greenleaf Technologies today.